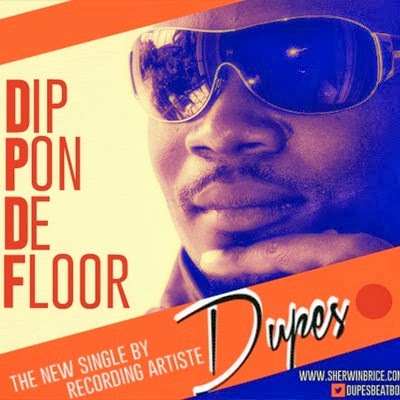 Sherwinn "Dupes" Brice's latest video "Dip Pon De Floor" was shot at Whispers Night Club in Soufriere, St.Lucia. The Dupes Did It Music presented the visuals for "Dip Pon De Floor" and was filmed & directed by Ted Sandiford of ACID Kreationz. The afro beats, soaring synths and a pulsating four on the floor groove are just a few of the elements featured in Sherwinn "Dupes" Brice's new single "Dip Pon De Floor". Produced by Stephen "Horseface" Mathurin, Francis "Leebo" De Lima and Sherwinn "Dupes" Brice recorded at Heights Music Production, the azonto inspired track is the latest release from the Dupes Did It Music Camp. The track features vocal assistance of songstress Trish Baptiste.